This next hidden gem requires a little bit of digging, figuratively if not literally. You won’t find it in downtown L.A., or even any of the main drags. You need to go looking for it, and even if you did find it, you might not suspect what it is. This gem is a part of the history of our city, and sadly, it is a tragic part. 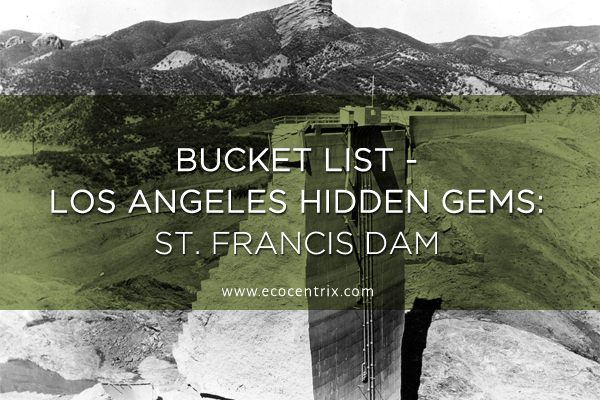 Have you ever heard of the St. Francis Dam? 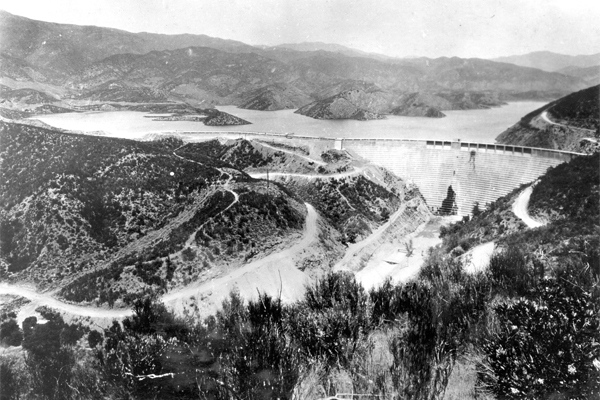 The St. Francis Dam was the dam for the one of the main L.A. water storage reservoirs. Built between 1924 and 1926, it was a curved concrete gravity dam, constructed to be used with the recently build Los Angeles aqueduct, providing L.A. with the majority of its water. It was an impressive structure at the time, at a height of 185 feet and 700 feet in length. If there was one engineer who was responsible for the rapid growth of L.A. in the early 20th century, it would be William Mulholland. He was the engineer who built the entire infrastructure for Los Angeles’ water supply. Without water, L.A. would have been little more than a desert but with it, it would grow into one of the biggest and most influential cities in the world. Mulholland was a self-taught engineer who was born in Belfast, Ireland. Arriving in L.A. in his early 20s, he looked around, saw a population of about 9,000 and little excitement, and promptly turned around and left. When he returned a few years later, he got a job with the Los Angeles City Water Company. He started out small, with iron water pipelines, but soon climbed the ladder and was made the superintendent of the LACWC. He foresaw the rapid growth of L.A. that would come if there was a steady water supply. Once the LACWC became the Los Angeles Water Department, Mullholland’s vision was quickly put into practice. Once water was provided to an area, it quickly grew. In just 10 years, the population of L.A. doubled from 50,000 in 1890 to 100,000 in 1900. Not everything was above board however, as many shaddy deals were made to get the water rights of the surrounding areas over the years. Owens Valley, for example, went from being a paradise to a desert after their water supply was diverted to L.A.
At the very beginning of the century, Mulholland began work on the Los Angeles aqueduct that would help provide all the water L.A. needed. By this point, Mulholland was considered to be one of the most powerful and knowledgeable men in California, especially with regards to water. All of that was about to change with the St. Francis Dam disaster. On March 12th, 1928 during an inspection of the St. Francis Dam, William Mulholland discovered a number of cracks and leaks, but declared it to be safe anyway. 12 hours later, just before midnight, the dam spectacularly collapsed, dumping 12.4 billion gallons of water towards the San Francisquito Canyon, killing 64 workmen. The water continue to travel, eventually completely flooding the towns of Castaic Junction, Piru, Fillmore, Bardsdale, and worst of all, Santa Paula. Although many of the bodies were never found, as they were washed out to sea, the official death count of the disaster was judged to be 431, many of whom were children. 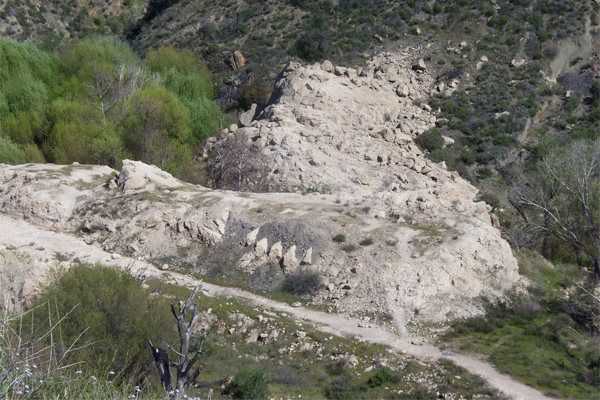 It was called the worst manmade disaster of the 20th century and Mulholland took full responsibility. Although he was not held criminally responsibility, he did resign from his position. In the aftermath, he moved to relative seclusion for the rest of his life, until he died in 1935. So, if the dam collapsed, why is it a gem? 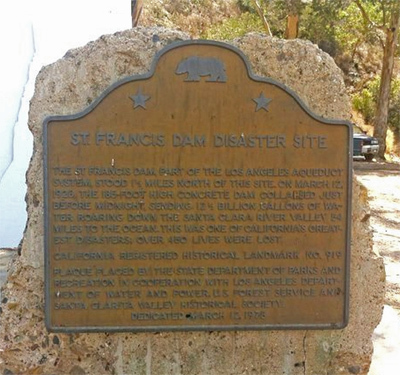 Well, today the site of the dam is an officially recognized historical California landmark. It requires quite a bit of hiking through some beautiful country to get there, as the roadway that originally led there was rerouted after some heavy storm damage a few years ago. To find the site, you want to park your car just past the bridge on Francisquito Road, from the intersection with Copper Hill Road. From there, you will want to walk on foot north, along the curve until you find a mass of concrete on your right-hand side. To be completely honest, not much remains of the dam except for chunks of concrete and a massive scar from the landslide caused by the collapse. Still, it is a remarkable feeling to be there and to see the site of one of the worst disasters in Los Angeles history. 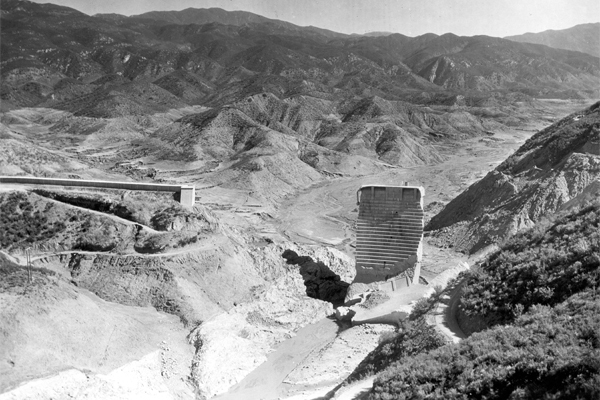 The St. Francis Dam was meant to be a triumph of engineering and architecture, only to collapse into tragedy and ruin less than one year after its completion. Not all of the hidden gems of L.A. you can see with your eyes. You have to know the history. These stories are the foundation that our great city today was built upon, and maybe none more so than the great St. Francis Dam collapse of 1928. If you’d like to see it with your own eyes, there is a fantastic opportunity coming up. Atlas Obscura, an amazing website that catalogues hidden gems in L.A. and all across the world, is hosting an event on February 24th where groups will be heading up to the area of the St. Francis Dam to explore the history firsthand. If you aren’t able to make it to this event, the Santa Clarita Valley Historical Society holds events and tours throughout the year so if you’re looking for an opportunity to see this integral part of L.A. history firsthand, make sure to check them out!